Ettie Brookbank is the heart and soul of Cook's Basin, a sleepy offshore community comprising a cluster of dazzling blue bays. But for all the idyllic surroundings, Ettie can't help wondering where her dreams have disappeared to until fate offers her a lifeline, in the shape of a lopsided little cafe on the water's edge. When Bertie, its cantankerous septuagenarian owner, offers her "the Briny" for a fantastic price, it's an opportunity too good to miss. But it's a mammoth task, and she'll need a partner. Enter Kate Jackson, the enigmatic new resident of the haunted house on Oyster Bay. Kate is also clearly at a crossroads running from a life in the city that has left her lonely and lost. 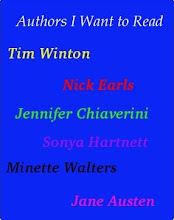 Could a ramshackle cafe and its endearingly eccentric customers deliver the new start both women so desperately crave? Thoughts: Susan Duncan's memoir Salvation Creek spoke to me. Just like her, I live somewhere accessible only by boat and it truly is a different way of life. The community and the way of life are something I don't think I could ever give up - I truly struggle to see me ever living on the mainland again. 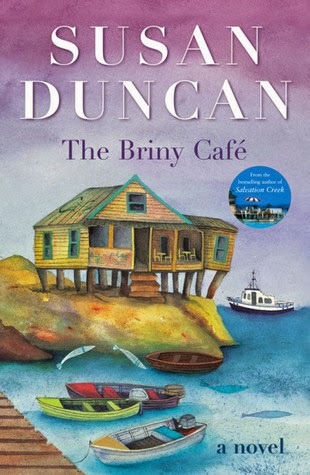 The Briny Café draws on Duncan's offshore living experience to build the fictional community of Cook's Basin. Just like Salvation Creek, community and food are at the heart of this book. The story travels along at a good pace, following Ettie's journey as she takes on the run down Briny Café while helping newcomer Kate find her feet within the offshore community. Filled with likeable characters, The Briny Café is not going to provide you with a challenging read, but with a setting that you will want to come back to in order to see what you're new friends are up to. Little Black Marks - Now on Facebook!